For the first time since the 2007 season, someone not named Chris Johnson will lead the Tennessee Titans in rushing yards. 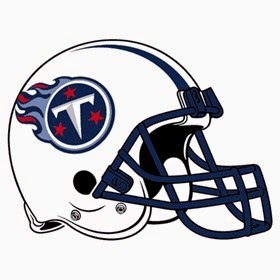 Will it be rookie Bishop Sankey, the Titans 2nd round pick out of Washington, or will it be veteran Shonn Greene, who saw just 77 carries last season backing up Johnson? The RB production will most likely be just fine, but it is a crucial season for QB Jake Locker. Drafted in 2011, 8th overall and also out of Washington, Locker has played in just 23 NFL games, including just 7 last year, thanks to a foot injury. He has the weapons in Kendall Wright, Nate Washington, Justin Hunter and Delanie Walker to have a good season, but he will need to play consistently with Charlie Whitehurst and rookie Zach Mettenberger waiting for their chance. Locker is a dual threat QB, when healthy. He rushed for 2 TDs in his 6.5 games last season, on top of his 8 passing TDs. As mentioned up top, he has more than enough weapons to be successful, but is to much of an injury risk to rely on. If you need a QB to fill in on a BYE week and Locker has a good matchup, he can help. We did not rank him in our QB rankings. Sankey is being drafted as a low end RB2 in most leagues, and ahead of veteran Frank Gore! I personally would rather have Gore, but Sankey could prove to be the lone valuable rookie RB this season. The additions of Michael Oher and rookie Taylor Lewan make the Titans offensive line one you want to run behind! We ranked him 20th in our RB rankings. Greene banged up his knee last week, the same one he had offseason surgery on. He did rush for 1,000 yards in back to back seasons before leaving the Jets, but he was the workhorse in a Rex Ryan offense. He could steal all the goalline work, which would give him some more value. McCluster is going to be catching passes out of the backfield, and playing for Ken Whisenhunt is a big plus for a McCluster type (see Danny Woodhead). McCluster should be owned in PPR leagues only. Wright caught the 7 most passes among WR in 2013, 94 (remember Ryan Fitzpatrick filled in), and if Locker can stay healthy, he should eclipse 100 receptions. PPR gold here and currently being drafted as a high end WR3 in 12 team PPR leagues with his ADP on the rise, up to the beginning of the 6th round. He would go even higher if he scored more than 2 TDs last season. We ranked him 27th in our WR rankings. Serious fantasy sleeper and has climbed up from the 13th round into the 10th round of drafts this week thanks to a ridiculous preseason game. He scored more TDs (4) than Wright on just 18 receptions last season as a rookie. We ranked him 45th in our WR rankings. One of the more overlooked fantasy TE options, Walker caught 60 passes for 6 TDs last season, good for 11th TE overall in our .5 PPR league. He is a safer pick than rookie Eric Ebron, an injury risk like Dwayne Allen and a guy splitting time like Tyler Eifert. We ranked him 16th in our TE rankings.